This one is so easy, I’m a little embarrassed to actually be posting it. But in the spirit of the season; a time of tenuous comfort and forced joy, I am offering this bonus round of Name That Place. There’s obviously a gangster theme going on here. 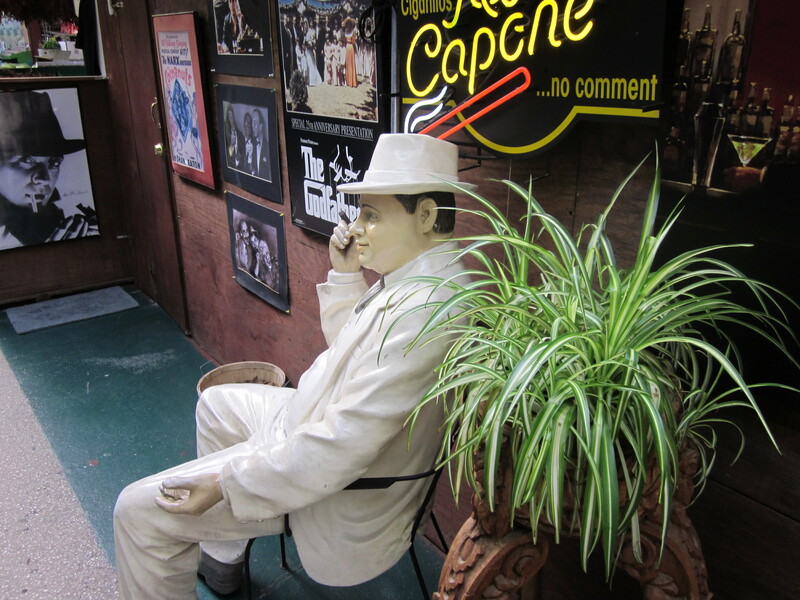 Is that supposed to be Al Capone? Or is it supposed to be this guy? 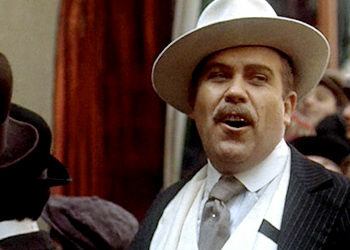 Either way, it’s just another sad stereotype of the Italian as gangster. Ooops, I just gave away a hint, as if you need it. Where is this tribute to gangsterism? I won’t use the “M” word to describe what is depicted because my Poppy from Calabria always said there was no such thing. Since I’m in such a giving mood, I’ll add a few more photos of what you might find at this place. 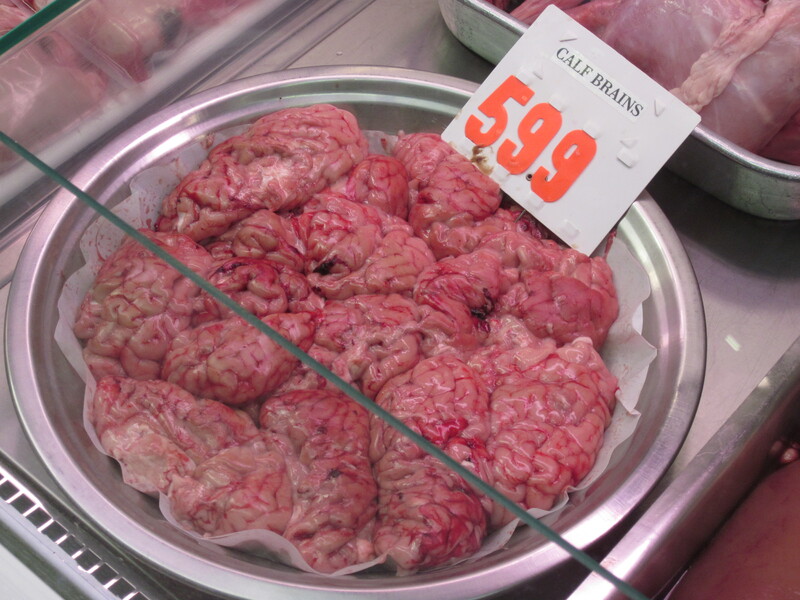 You can buy calf brains there. 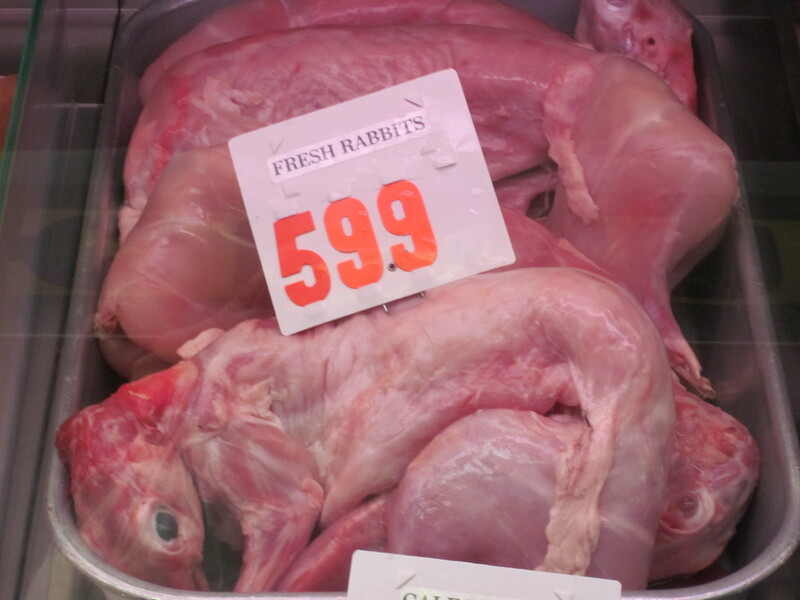 And even fresh coniglio, also known as rabbit. Is it a meat market? One with a statue of a gangster? Am I confusing you now? I certainly hope so, but doubt it. No, from what I’ve revealed here, I might as well just wrap this gift up and put it under the tree for you. As always, leave your answers in the comment section below. The place will be revealed here on Monday.